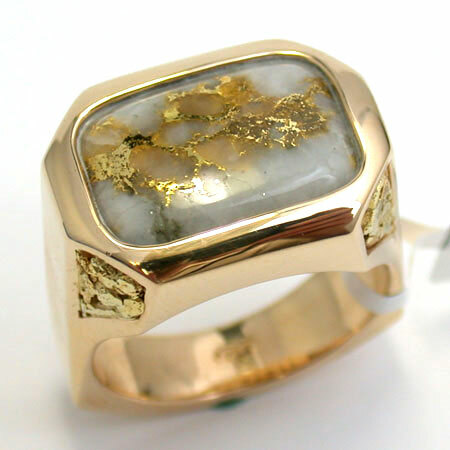 14K Yellow Gold ring with a Natural Gold-in-Quartz cabochon in the center. 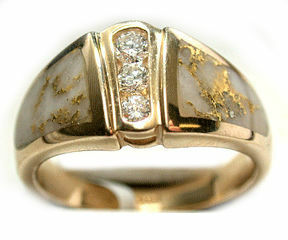 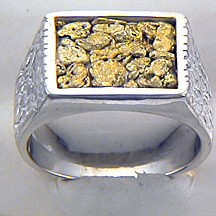 The shank is inlayed with Natural Gold Nuggets and adorned with Diamonds. 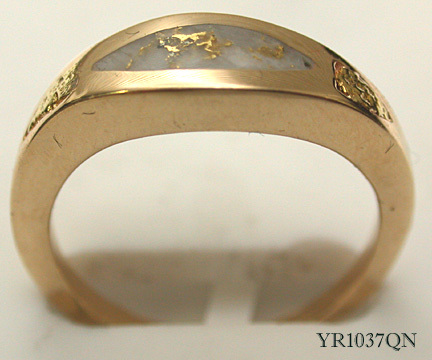 The back of this ring is solid.